Choosing an RV cover isn’t always cut and dry. It requires some important considerations, especially because it is an investment that will last for years to come. Afterall, nobody wants to invest in something that turns into a decade-long eyesore. After you’ve chosen your frame, color becomes the next important consideration. Some people choose to take the obvious route and match it to their house. However, it’s always fun to play with complimentary colors or simply add something with a little pizzazz. The choice is yours! Green. This is a perfect color for a property in the woods or for anyone who appreciates natural tones. Stone. Classic and simple. This color is for the minimalist who appreciates the old adage “less is more”. Red. 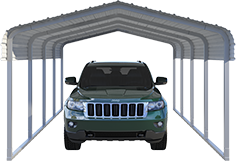 Want your RV cover to pop? Red will do exactly that. White. This is a very popular color choice for buyers. It goes well with homes and structures of every color. Tan. The neutral aspects of this color make it a great candidate for homeowners with an “earthy”esthetic. Brown. We love brown because it is natural and bold at the same time. Charcoal. Whether you’re interested in an edgy or chic appeal, charcoal is a perfect candidate. Gray. Wonderful for anyone because, like white, it blends seamlessly with just about everything. Are you ready for the next step? 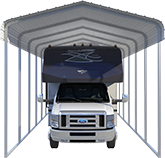 You can design your RV cover today! We make customizing effortless, allowing you to choose your frame, size, color and more with a few clicks. Start now by clicking here! Squirrel! 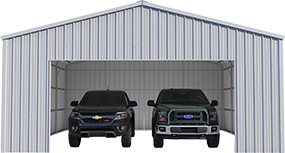 How to keep all the critters out of your garage or shed this winter.